The basic premise of Paleo is that we spent thousands of generations adapting to pre-agricultural diet and lifestyle patterns, and that a lot of modern diseases are caused by mismatches between our pre-agricultural genes and our post-agricultural environment. So we can learn a lot about human health by thinking about how we evolved to eat and live, and giving our bodies the kinds of input they’re designed to handle. So far, so good – but sometimes, evolution just doesn’t seem to make much sense. Consider the appendix. It’s best-known for getting infected (appendicitis), which is life-threatening unless you can get your appendix removed. And it doesn’t even seem to do anything, just sit there and sometimes get infected! What could possibly be the point of that? Why didn’t evolutionary pressure get rid of this totally useless and extremely dangerous thing? …because it isn’t useless, and it didn’t used to be dangerous. Appendicitis: A Problem of Modern Hygiene? This review gives some evidence that (just like the rest of us), the appendix is just one more part of our body that was well-adapted to life in the Paleolithic, but doesn’t play nicely with the modern diet and lifestyle. The authors started with the observation that appendicitis is concentrated in industrialized countries, and much rarer in developing countries. When people in developing countries start using modern hygiene and sanitation, rates of appendicitis go up. In other words, higher rates of exposure to parasites and certain kinds of germs seems to be protective against appendicitis. The authors explained this with the “hygiene hypothesis,” the idea that extreme hygiene and cleanliness can actually send the immune system into overdrive (this is also one explanation for why children raised on farms have lower rates of allergies). In other words, appendicitis is a problem of modern hygiene. Before we had modern hygiene, we didn’t have a significant problem with appendicitis at all. The review estimates that before around 1860, appendicitis wasn’t a significant health problem anywhere in the world. In other words, the appendix is like genes promoting easy fat storage: we didn’t evolve to get rid of it because it never used to be a problem. And in fact, it may even have been useful and important. The idea that the appendix is “useless” or “pointless” is actually outdated. In fact, your appendix does quite a lot for you! For one thing, it’s an emergency backup plan for your gut flora. 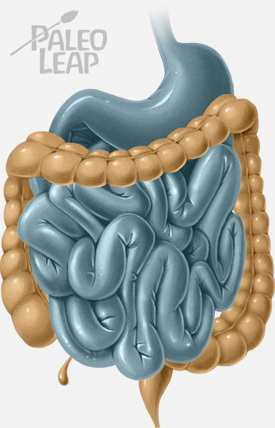 If you get some kind of gut-flora-disabling issue (like a diarrheal disease), then the appendix can hold onto a kind of backup colony of gut flora to repopulate the large intestine when you’re better. 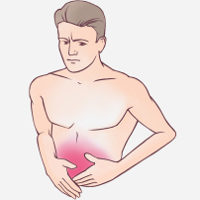 This is particularly relevant for anyone with IBS-D or any other problem that causes diarrhea. In fact, the bacterial backup in the appendix can even be life-saving. One of the worst infections that you can get in a hospital is Clostridium difficile (C. diff), which causes diarrhea and other GI symptoms. The typical treatment is antibiotics, but the antibiotics leave your gut depopulated of everything, including the beneficial bacteria that would otherwise help defend you from C. diff. The result is that C. diff often comes right back, and there’s no way to stop it from coming back, because the treatment for the C. diff wipes out your body’s defense against the infection. If you have your appendix, the appendix can re-seed the “good guys” and put your natural defenses back up. If you have no appendix, you can’t do that – and you’re four times as likely to get a recurrent case of C. diff. But the appendix doesn’t just have the same flora as the colon. It also has certain types of immune cells not found in the colon. And those immune cells might have a serious impact on your risk of chronic diseases. Of course, this is on top of the way that the gut flora are already important for the immune system. This study went through all of that data, and the evidence that the appendix connection has something to do with immune function in all of those cases. Then it looked at another disease: Type 2 Diabetes. The study found that in Taiwanese patients, people who had their appendices removed were more likely to develop Type 2 Diabetes later on. That was after controlling for obesity and other potentially confounding factors. Pretty puzzling…until you remember that Type 2 Diabetes has an important immune/autoimmune component, and that it’s also associated with significant changes in the gut flora. So, if you take out the appendix (a reservoir of gut flora with significant immune effects), it’s not at all surprising that a person’s risk of Type 2 Diabetes would be affected! The appendix does have an important function, but in the modern world, it’s become a liability thanks to the pressures of an environment we just aren’t well-adapted to live in. A lot of people reading this have already had their appendix removed, and a lot more will have to make that decision at one point or another. Just to be very clear: none of this is an argument for leaving your appendix in if leaving it in is likely to kill you. Appendicitis is a potentially deadly disease, and sometimes we do have to make trade-offs that slightly increase the risk of developing health problems down the line for the sake of not dying in agony. Nobody Knows what an Anti-Appendicitis Diet Looks Like. The best thing would obviously be to avoid appendicitis in the first place, but very little research has actually looked at this. This study found that higher rates of appendicitis were associated with consumption of simple carbs (sugar, grains, and potatoes) and lower consumption of fruits and vegetables. But that’s one study from the 1980s, and that’s basically the start and the end of the research: there’s been a surprisingly low amount of research on how diet affects appendicitis. Gut Health Might Help Prevent Immune Overreaction. Taking good care of your gut flora might be a better strategy, because it could help prevent the kind of immune overreaction that makes appendicitis such a big problem in the modern world.The gut flora are very important regulators of how sensitive your immune system is, and keeping them happy might help protect your body from the various downsides to modern hygiene and sanitation. Here’s a primer on gut health. For people who already had their appendix out: advice about gut care still applies (and may be even more important, since your emergency backup is gone). It might also be helpful to remember that “increased risk of diabetes” doesn’t mean “inevitable diabetes,” and there are plenty of risk factors that you can control, like not eating a lot of refined sugar, getting enough sleep, and getting regular exercise. It’s always a tough trade-off: modern hygiene does save lives, but it also makes parts of our immune system (like the poor appendix) just go haywire, saving us from infectious disease at the cost of lifestyle diseases later on. Then we’re left trying to figure out how to balance it all without going insane. But if nothing else, at least it’s good to know that evolution didn’t actually leave you with an organ that does nothing but get horrible infections, and as people get caught up on the importance of the appendix, we might start seeing better treatments for appendicitis that don’t involve completely removing it.